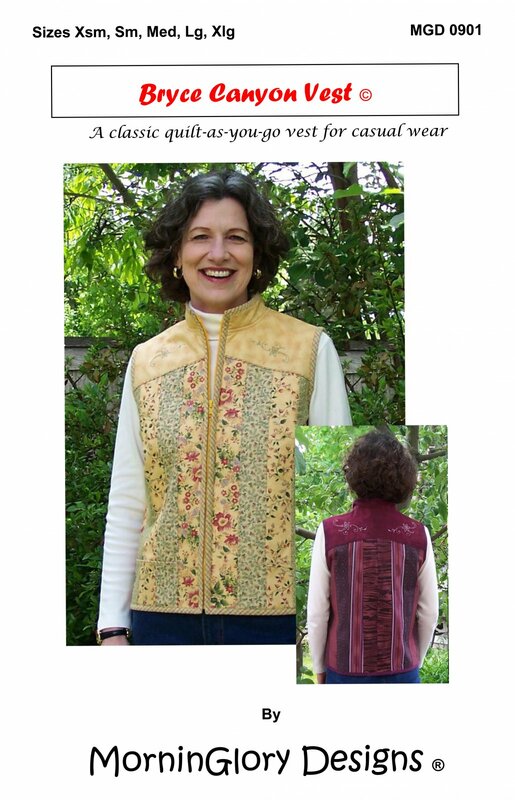 2-1/2 inch strips,and silk kits and features a yoke, narrow piping, stand up collar, and zips up the front. Make one for indoors and use a lofty batting to make one for cool weather. Use Pipin’ Hot Binding tool to make piping. Sizes Xsm -Xlg included MGD 0901 Suitable for beginner sewers.